There is a moment in childhood when you relise just how large the universe is. Up until this moment your brain is happy to deal with what's around you and leave everything else in a haze of Elsewhere. With the 'click' you comprehend that you are actually standing on the surface of one planet in one solar system in one spiral arm of one galaxy of - well you get the picture. Typically, there is a moment a little later when you realise that you can zoom down to the subatomic level as well. (There is a very cool animation of this change in scale here). In short, your brain discovers scale (and existential angst!). It's not usually a comfortable thought and we are good at putting it to one side and hoping, like annoying relations, that it won't come back to visit that often. I was always quite fascinated by this idea and loved looking at astronomy books with their diagrams that zoomed out to the known universe. Which is just as well because as an evolutionary biologist who works in ecology you need to be comfortable with scale. When studying ecology we are usually interested in trying to explain the distribution of species, populations and individuals. Often we are trying to explain things like tussock grassland distributions, or what determines treeline in mountain areas, or the diversity of remnant forest patches through the Canterbury Plains. These are all, good, big questions at a large scale. Sometimes we are interested in much smaller scales. Why are individuals in a local population distributed where they are? Why are those two rimu growing next to one another or why are those tussocks growing on this slope and not the neighbouring one. Overall, we are interested in whether the same factors shape distributions at these different scales. In a study just published in the New Zealand Journal of Botany, Jenny Dent and her colleagues from Lincoln University Department of Ecology (lecturers Hannah Buckley and Tim Curran and PhD student Arash Rafat) have looked at a very local level by examining what determines the distribution of lichens on mountain beech trees in a stand in Nina Valley. Every year the Department of Ecology takes a class of third years to Nina Valley, near the Lewis Pass, as part of their field course. The students spend several days doing their own research in the area. The Nina is pretty much exactly what you think of when you say you are doing ecology research in New Zealand: big, steep mountains, thick beech forest, swing bridges, moss, robins and solitude. It's a beautiful site. We started doing this course in 2012 and Jenny is the first undergraduate student to have a paper accepted for publication based on research that Jenny did in the course. Now publishing a scientific paper from undergraduate research is very unusual (typically there is not enough time to collect enough data). Jenny was interested in the lichens that sometimes grow on the sides of beech trees. She had noticed that the amount of lichen on the trunks of beech trees, and how large they grew, seemed to vary along the trunks and between individual trees. Lichens are complex organisms that form from a partnership between a fungus and a photosynthesising green alga or cyanobacterium. This combination allows lichens to be very resilient and they can be found in most habitats (although we know relatively little about their biology). The main lichens found on beech trees are from the genus Usnea and they produce long, thread-like 'leaves'. Jenny collected all of the Usnea off 48 mountain beech trees (Nothofagus solandri var. cliffortioides)at 4 different sites from ground level to 2 metres up the trunk. The lichen were dried and weighed to give an idea of how much lichen was on each tree. In addition, Jenny collected information about trees and the collection sites. She found, through genetic analyses, that there were two Usnea species present, U. articulata and a new Usnea species. She found that lichen biomass varied greatly between trees and that this was mainly related to thickness of bark (thicker bark provides more microhabitats for lichens to live in) and canopy cover (lichen do better in with some sunshine to power their photosynthesising parts). Other likely factors, such as ease of colonisation of tree (distance between beech trees), increased opportunities for colonisation (age of tree), amount of potential competitors for space (sooty mould or bryophytes species that also colonise beech trunks), did not seem to play a role. In short, microhabitat differences, whether bark was deep and rutted and whether it was in direct sunlight, seemed to be the most important factors for determining why Usnea lichens grow on individual beech trees. This is not something that would have been easily found if Jenny had looked at a different scale, say a couple of beech trees from several different valleys. At that scale it is likely that distance between valleys and age of trees would play a greater role. And so we come back to scale. One of the things about ecology is that you study complex systems and that these systems scale. It seems that whenever you think you understand how an ecosystem works that you can always look closer (at a smaller scale) or wider (at a larger scale) and that you will find that different factors may be important at that level. And you then you can look wider and wider and the existential angst can kick in again! Maybe being a good ecologists means being comfortable with dealing with, and accepting of, the many different scales of the natural world. This blog was set up to provide information about the research that is done in the ecology area at Lincoln University. 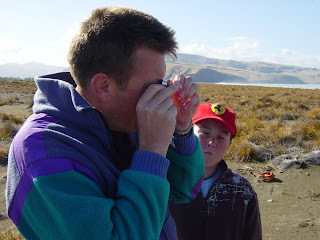 The aim was to allow teachers and secondary students the opportunity to see NZ research in action. Over the years we have added to our readership and I would like to welcome aboard the Lincoln University Alumni. While most of what we do still revolves around current research, EcoLincNZ now provides other sorts of information. For example, we recently had a careers in science event at the university. Someo f our recent alumni talked about their science jobs that they have been in since leaving Lincoln. You can see them here. We also use thuis blog as a teaching tool and some of the blogs written by our postgraduates will be featuring on the site soon. For those of you that are new to the blog finding articles on specific species is a little difficult as our keywords are more about concepts. So for your benefit I have updated a list of which blogs are associated with particular species (with links to the blog entries!). Take a look at your favourite species. If you are the sort of person who doesn't take criticism well then you probably shouldn't be a scientist. Much of science revolves around the publishing of scientific papers - EcoLincNZ articles are mostly based on a recently published paper. In order for a paper to be published though, the authors need to convince the editor of a journal (and often an assistant editor) as well as several other scientists that their potential paper is up to a suitable standard and that it fits with what the journal is about. This process is known as peer review. Typically, each paper starts as a manuscript that is sent into a prospective journal. The editor of the journal makes a quick decision about whether it is in the ballpark and then organises it to be sent out to scientists who work in the same particular field. Comments on the maunscript then come back containing constructive criticisms, which often are extensive enough that the manuscript is not accepted for publication at that stage but needs some more work. And so on. The system depends on editors finding enough scientists to review manuscripts. With the increase in tasks competing for our time, and the huge increase in manuscripts being submitted, it is becoming increasingly difficult to find enough reviewers for each manuscript. Peer review doesn't work so well when there aren't enough peers. So what to do about it? One way to get more reviewers is to create new ones. One of the strange things about peer review, especially given how important it is to science, is that there is very little training for new researchers. Talking with my colleagues, most couldn't remember their first experience of reviewing a manuscript but they did remember that they had no training and that they had to guess at what was required. Over time you develop a sense of what works in producing a good review, usually through trial and error. There must be a better way! Some journals have toyed with the idea of introducing a mentoring system. 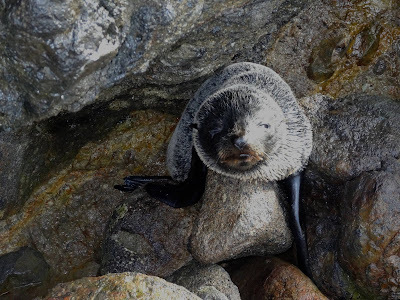 The New Zealand Ecological Society decided last year that it was time to invest in the future of New Zealand ecology and develop a mentoring system for the New Zealand Journal of Ecology. Tim Curran (Lincoln University), Ellen Cieraad (Landcare Research) and Joanne Monks (Department of Conservation) were tasked with developing the system. They outlined their plan in NZJE and more information is available from the journal website. The Society is asking for experienced researchers to sign up to be mentors and for new researchers to sign up to be mentored. Being a mentor is possibly the most important thing that us old hands can do for science although, ironically, we get almost no training in that either (although here are some tips). The journal team will match up pairs who will both read through a manuscript and submit a joint review on it. The new reviewers will gain experience through working with the old hands, a greater pool of reviewers will be created and networks across generations will be developed. It all seems like a win-win situation.